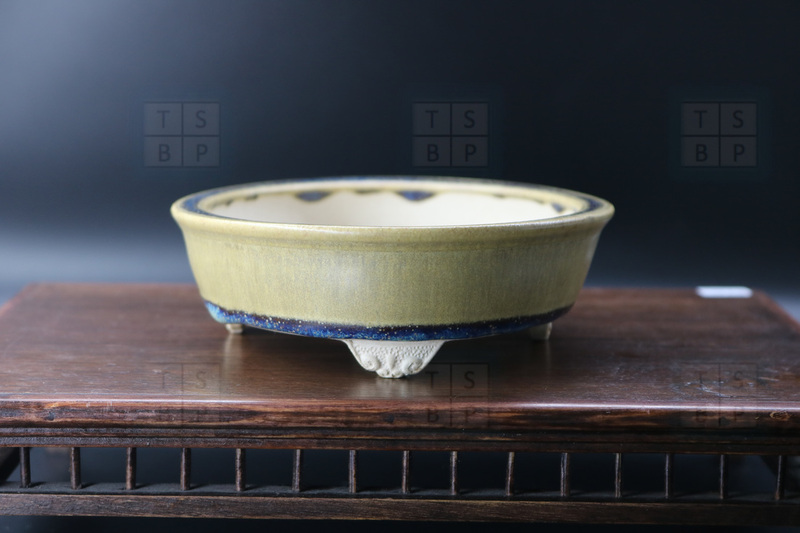 Stone Monkey Ceramics; Glazed pots. 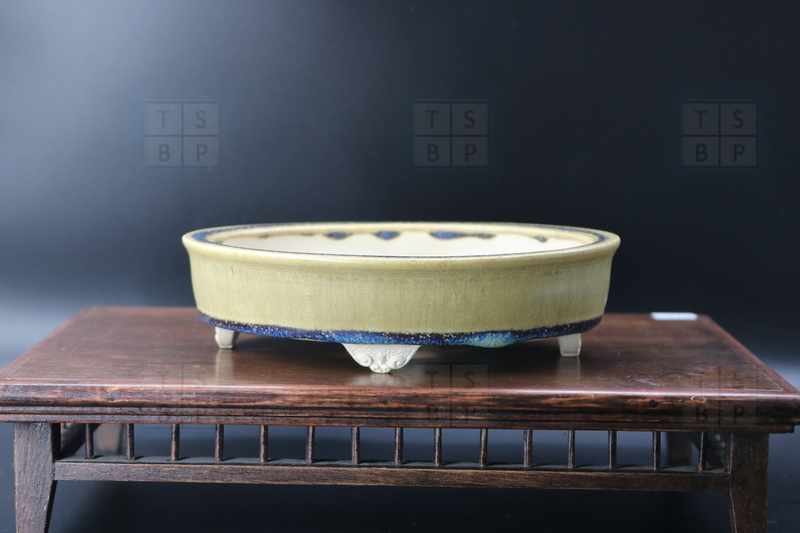 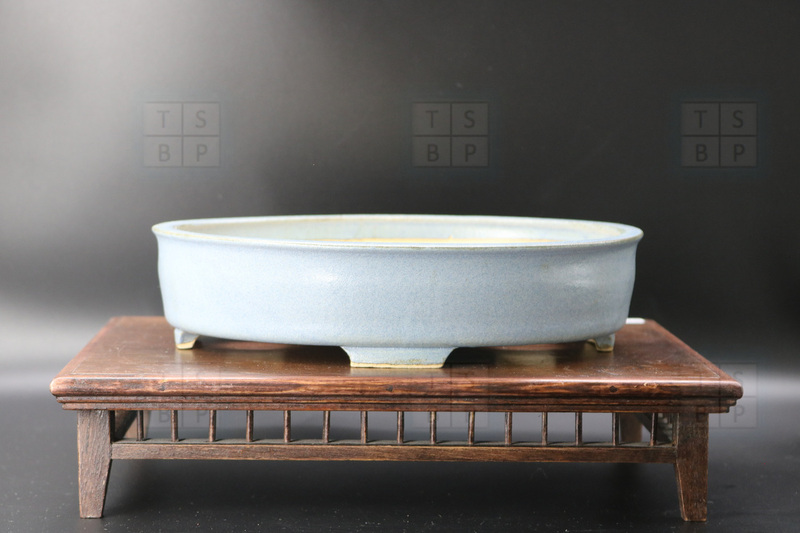 A relatively thin walled kifu oval, with cloud feet, subtle lip, and a beautiful mottled glaze. 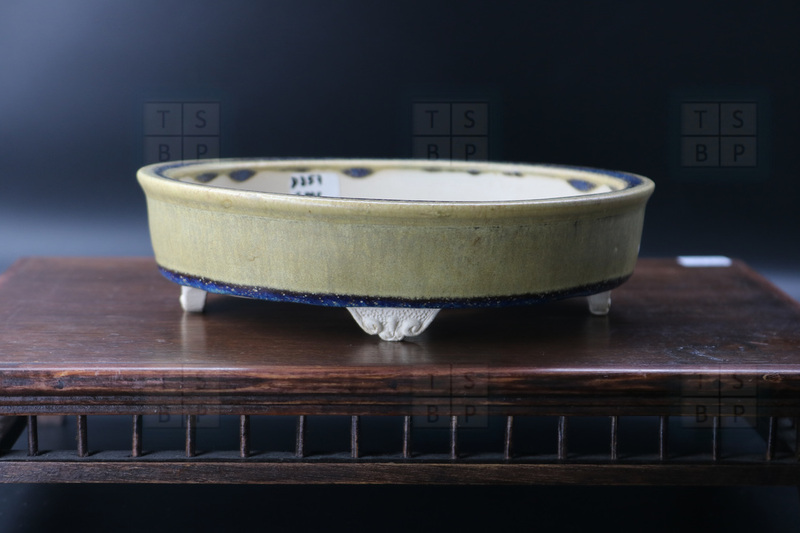 A favourite shohin oval of min; with a band of sublime glaze of blues and purples to the rim and base, this is a delicate, feminine piece, of beautiful proportions. 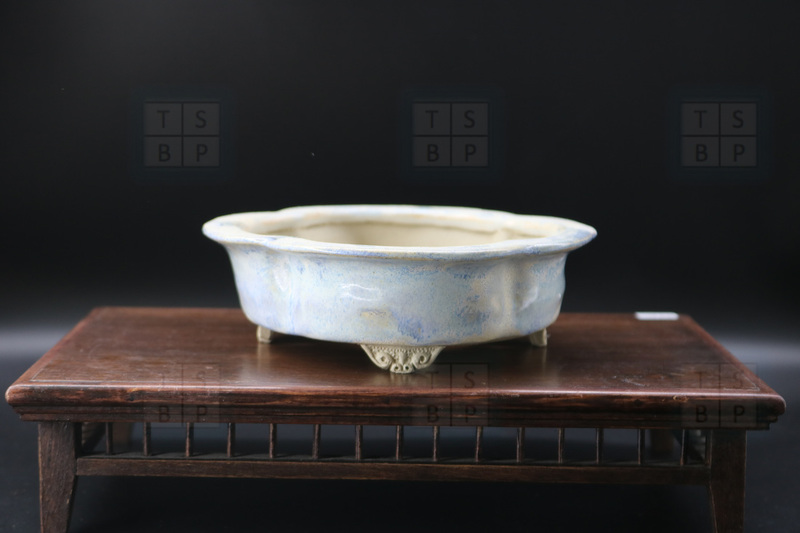 A soft oval glazed in a subtle, but clean and vibrant baby blue glaze. 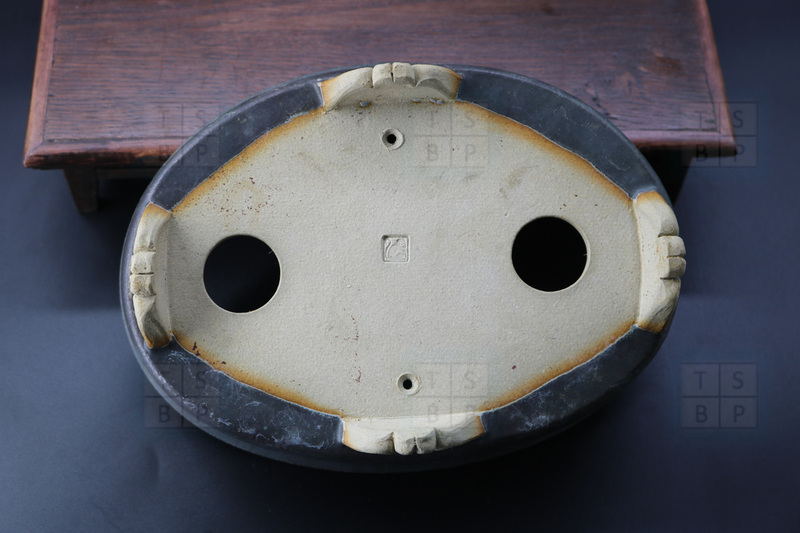 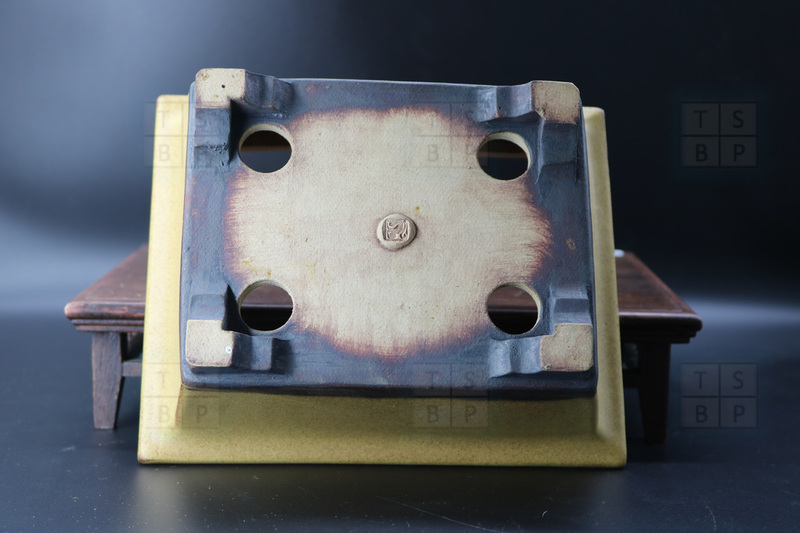 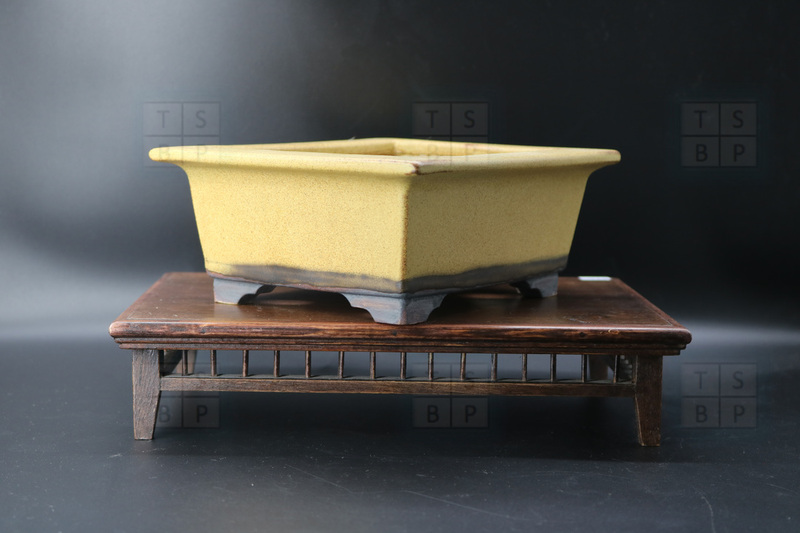 The slight curve on the block cut feet soften them and compliment the curves of the pot. 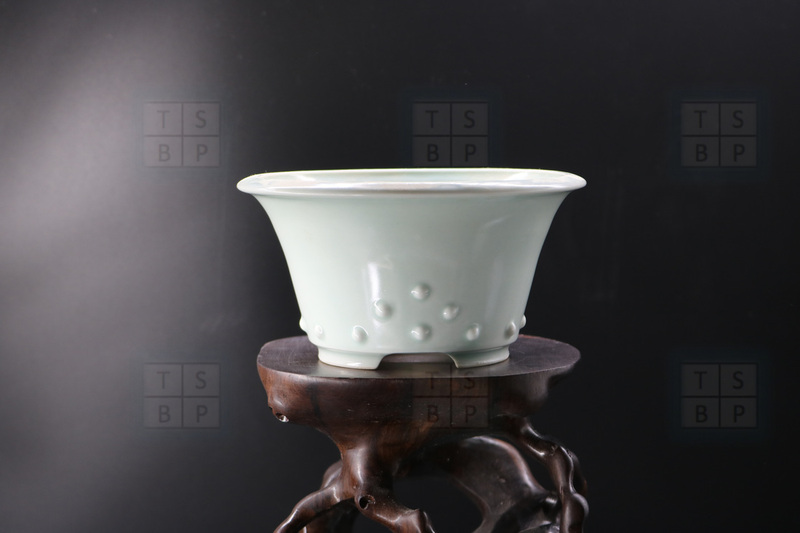 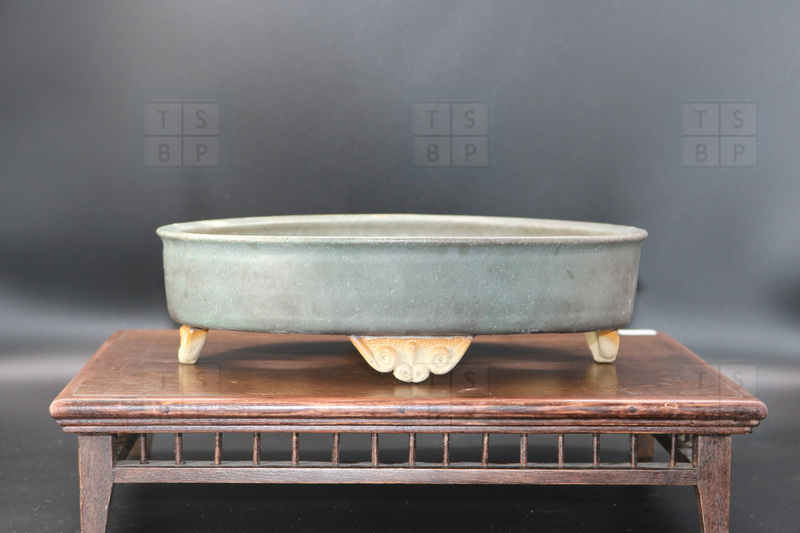 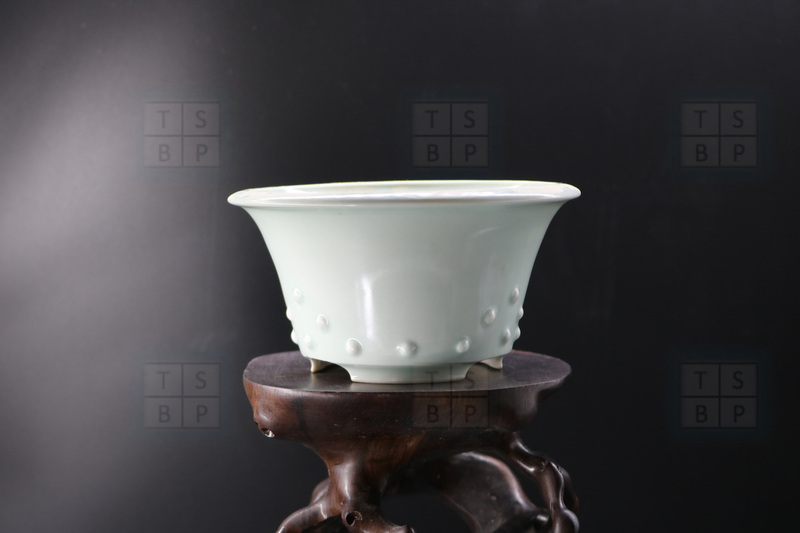 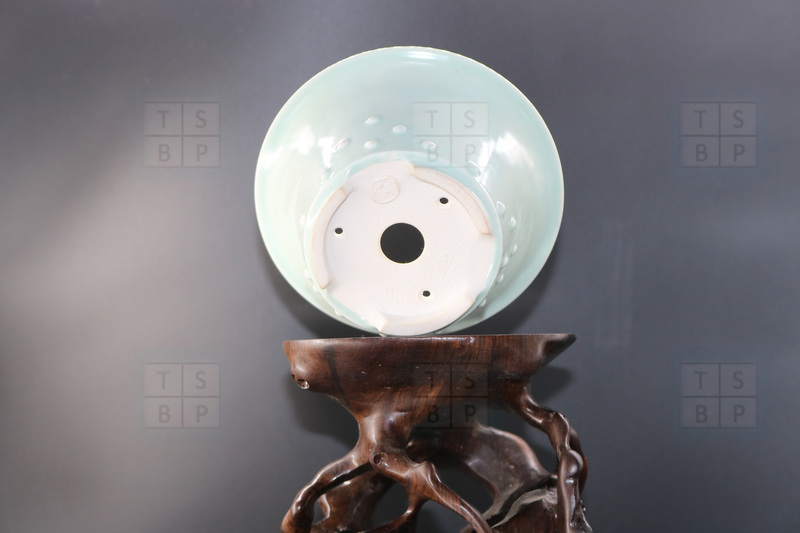 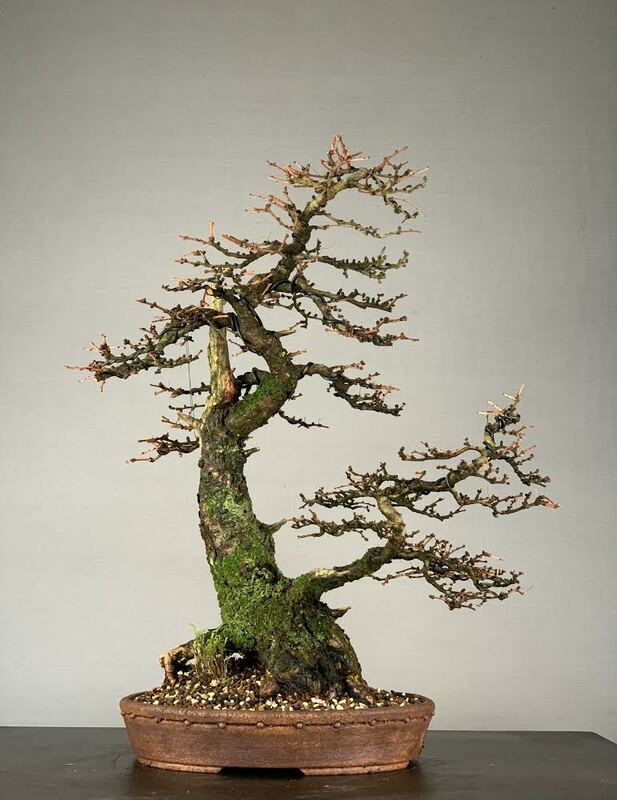 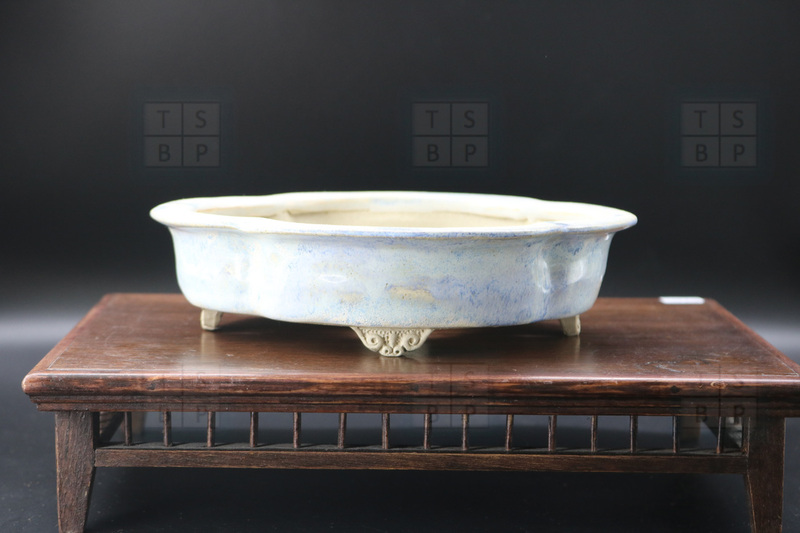 A wonderful mame / shohin sized round semi cascade with studded pattern to the base, and a wonderful celadon glaze. 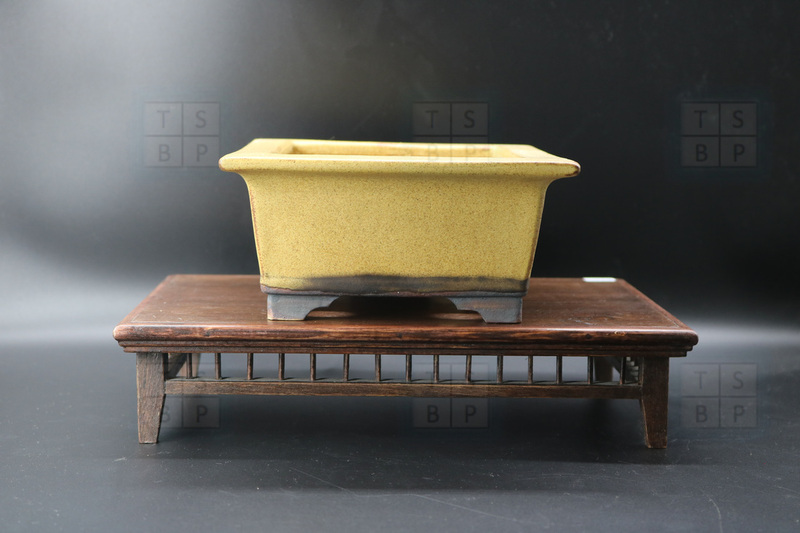 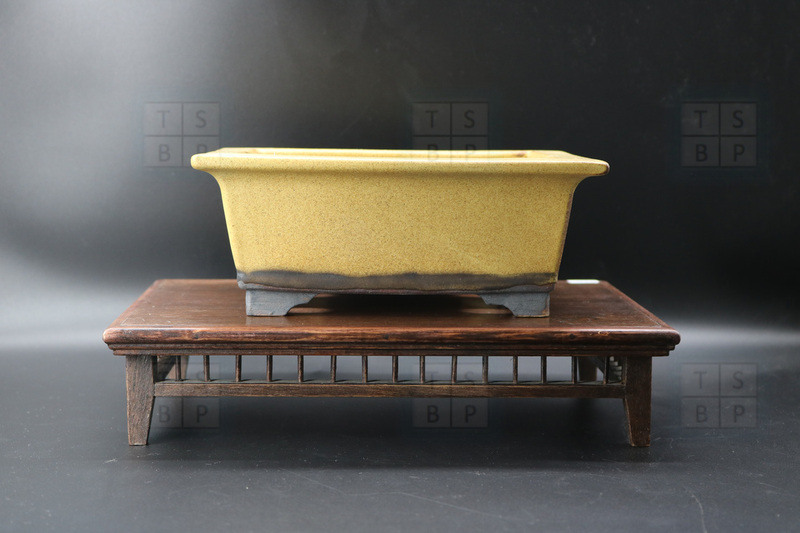 A sturdy and masculine deep rectangle, with mustard glaze, and rim. 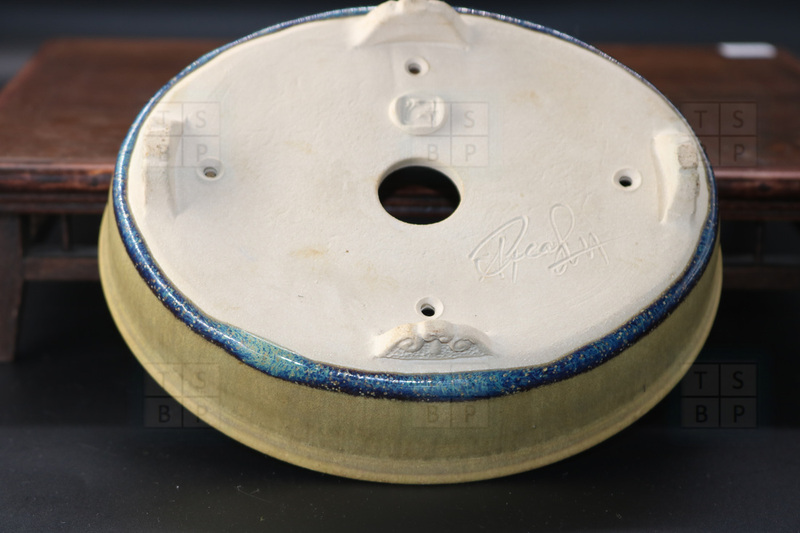 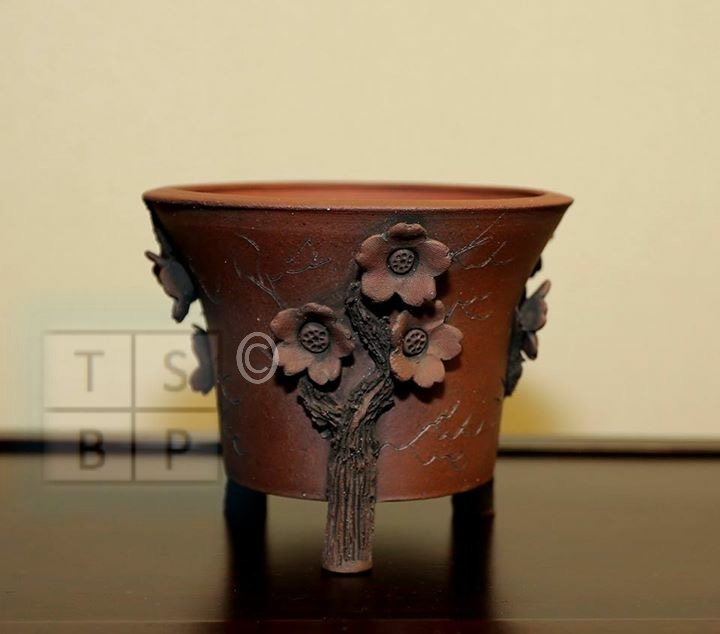 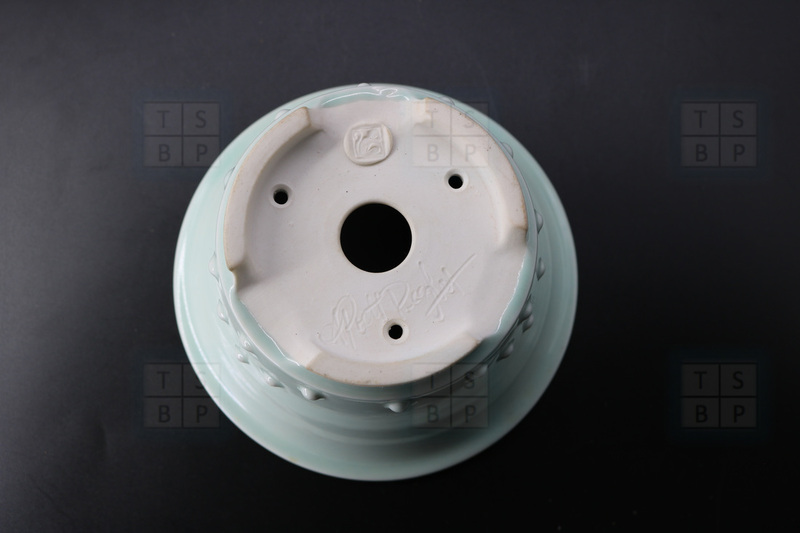 The basal band of unglazed clay visually reduces the depth of the pot and adds another dimension of interest. 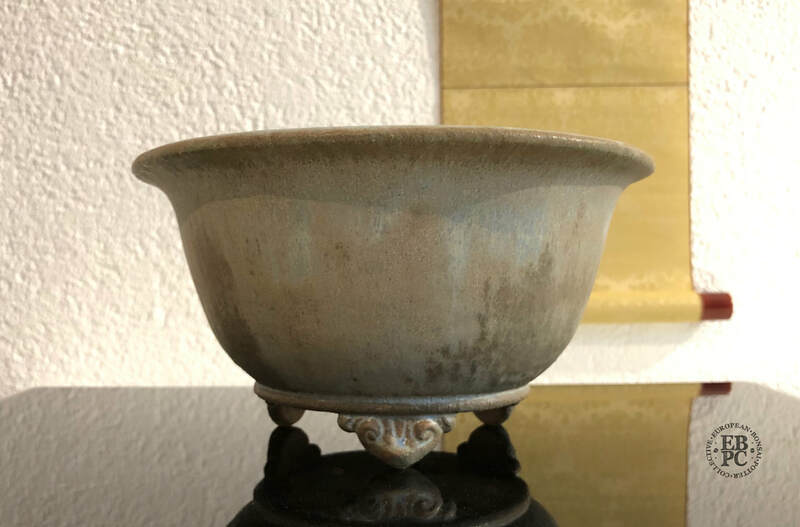 A suerbly crafted and exquisitely glazed kifu mokko (4 lobed shape) bowl, with delicate cloud feet, soft curves and a slight rim. 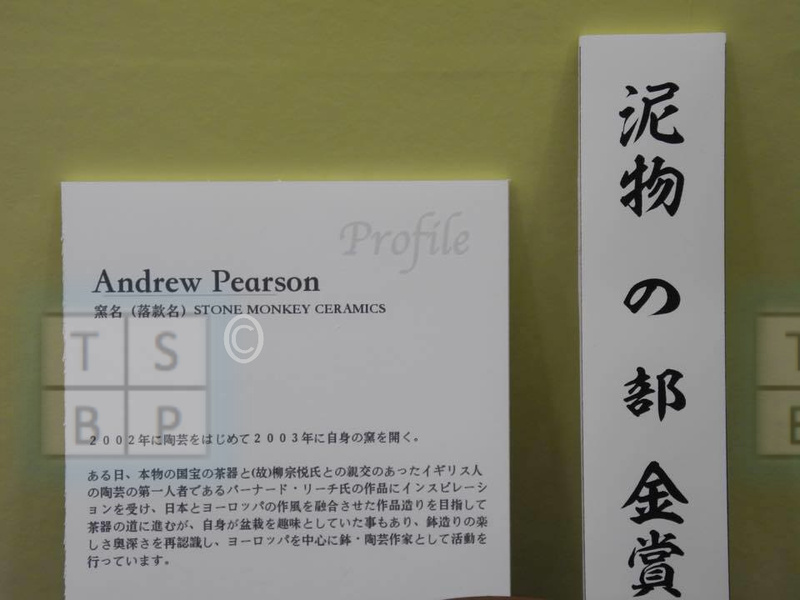 Andrew Pearson's glazed entry in to the 2014 Gafu ten contest. 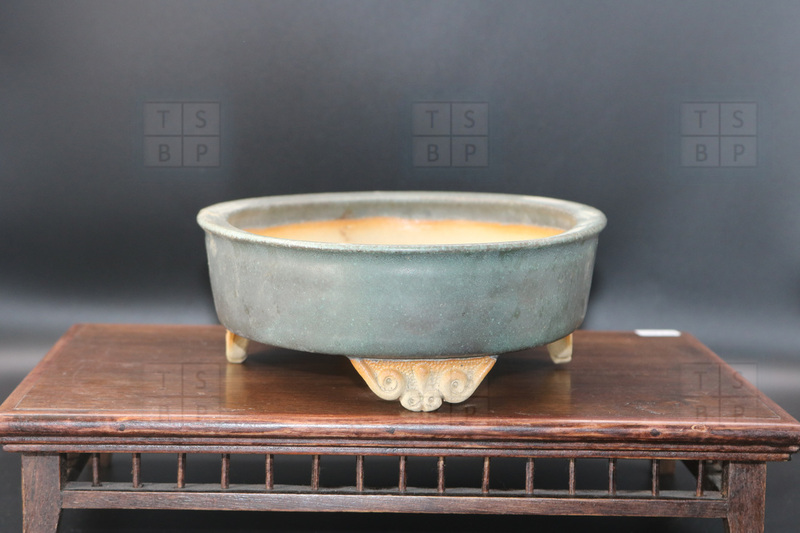 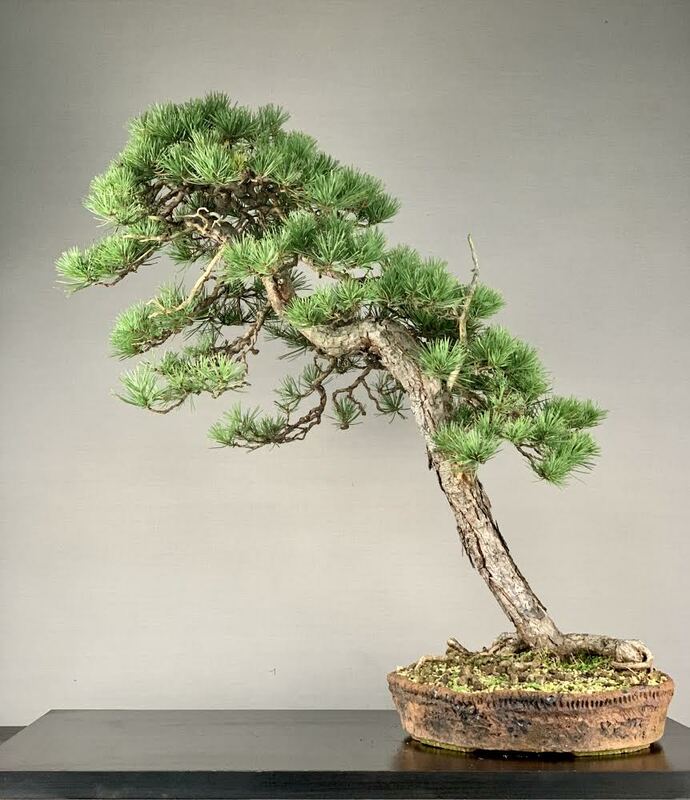 With simple form, true curves, and clean pure glazes, these pots ooze understated quality, and are a piece of bonsai pottery history.